Light Blue is a next generation dashboard template based on the latest Flat design. There are few reasons why we created it:. We didn’t like the darkness of most of admin templates, so we created this light one. We didn’t like the slowness of most of admin templates, so we created this fast one. We didn’t like the high contrast of most of admin templates, so we created this unobtrusive one. We searched for a solution of how to make widgets look like real widgets, so we decided that deep background – is what makes widgets look real. 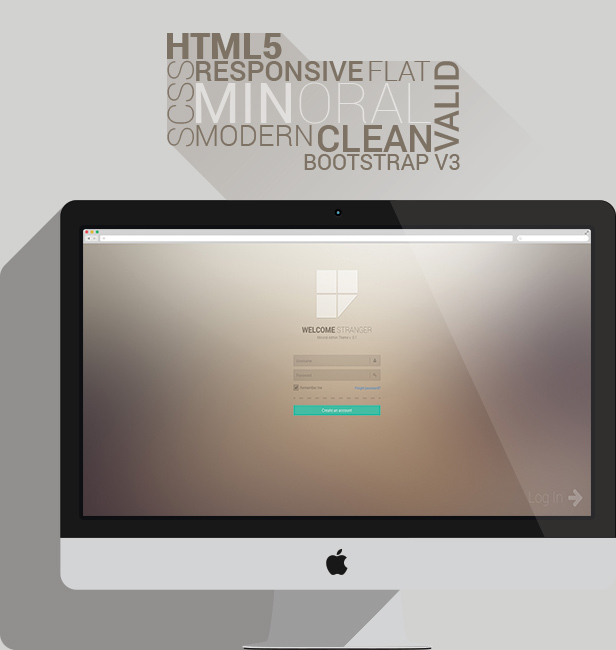 Minoral is premium flat admin theme builded on popular twitter bootstrap v3. Minoral is fully based on HTML5 + SCSS standards. Is fully responsive and clean on every device. Minoral contains many example pages with many ready to use elements and almost every this element have a show code button for quick documentation. Minoral work on every modern browser, any device and any screen size. Any new improvements which you’ll like to see in next build are welcome, please let us know what you want to be added. And don’t forget to rate this item . Thank you and enjoy with Minoral.